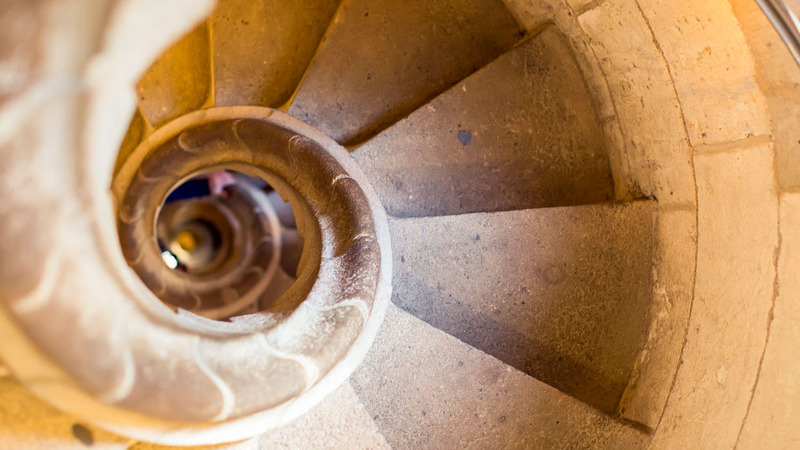 Skip the lines on this 1.5-hour tour of the Sagrada Família and marvel at Gaudí’s architectural genius. Ride up the tower for amazing city views. 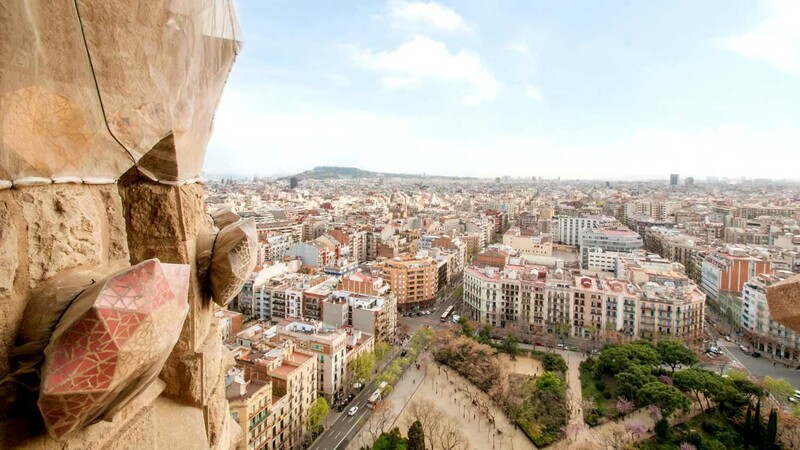 Which Tower Is Best to Visit at the Sagrada Família? 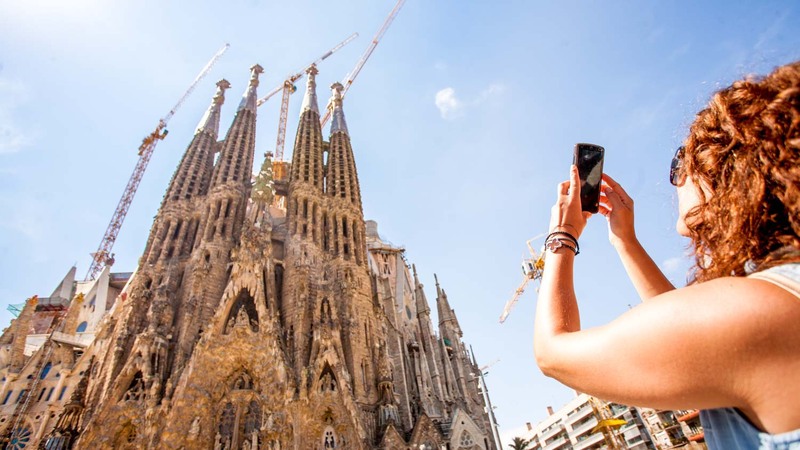 Antoni Gaudí's most ambitious project is still unfinished almost a century after his death. Only 2 of the stunning Sagrada Família's trinity of towers are complete and open to the public ─ the Nativity façade and Passion façade. Which is most worth the visit? Gaudí fans will find his influence most striking in the vibrant Nativity tower. The Passion tower is less ornate, possessing a more earnest Gothic charm. As the names suggest, each tower is religiously symbolic. The joyous Nativity faces the sunrise away from the Passion's starving, skeletal form. The Passion tower is the taller of the two. Unfortunately the Nativity tower opens too late to catch the sunrise, but its view is more diverse, if less spectacular. Both towers have elevators to the top, if you don't have the legs for stairs, but be warned - only the Passion tower has an elevator back down again! The Nativity tower is generally less busy as no groups are allowed up. However, if you really don't like crowds, stay outside and see the building illuminated at night instead! The simplest way to get to the Sagrada Família is by metro. Hop off at the conveniently named Sagrada Família metro stop! The Sagrada Família is always crowded, but the queues will be at their shortest in the early morning or late afternoon, when the sunlight's at its most magical anyway! If you're not buying tickets in advance, then prepare to queue for hours! They're easily available online and prices differ depending on which parts you want to access and whether or not you want to include an audio guide or tour. Tickets have a 1-hour admission window, but once inside you can stay until closing time. 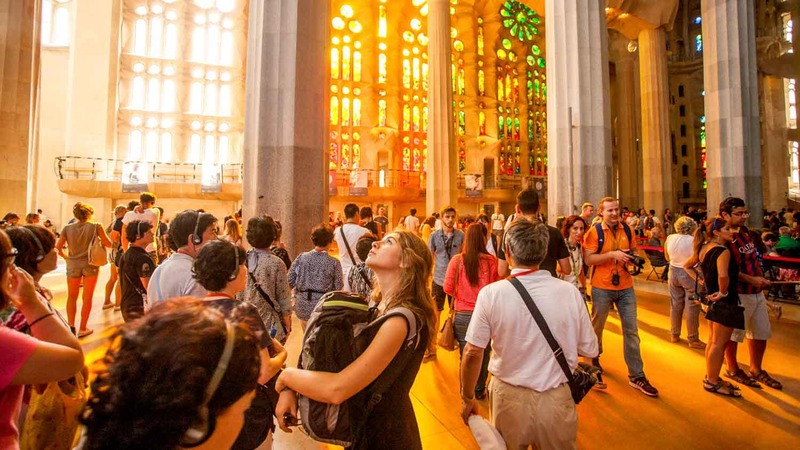 You could easily while away 3 or 4 hours at the Sagrada Família, although you can do it in half that if you have a busy itinerary. Just make sure you book tickets in advance! Open at 9:00 AM. Closing times are: November to February 6:00 PM, April to September 8:00 PM, March and October 7:00 PM. Free to see from the outside, prices for a visit inside start at €15, with options to add guides or tower visits. It will definitely help. Guides and audio guides are available for an added cost when you buy your entrance ticket. Take the metro to the Sagrada Familia stop! Please remember that this is a basilica, and polite behavior and quiet voices are expected. Bags, backpacks and suitcases will be checked upon entering the basilica. *Visitors under 16 must be accompanied by an adult. Guide's name was Alise (think that is the correct spelling), would highly recommend him for the Sagrada Familia tour! The closest to Middle Earth I will ever get! Sensational! Our guide Silvia brought the Sagrada Familia to life with her passionate commentary. A spectacular building that is still not finished - and still under the construction plans of Antonio Gaudi who died in 1926. I feel privileged to have visited a growing project such as this. I highly recommend this tour and using an english speaking guide. The tour was both interesting and very informative. Our guide was very educated on the subject matter and added to the overall experience. Interesting tour which greatly enhanced our enjoyment of the building. Very interesting tour which greatly enhanced our enjoyment of the building. Luckily for us, it was a small group. Guide had excellent English, seamed knowledgeable but was also entertaining. Thank you, Georgina. 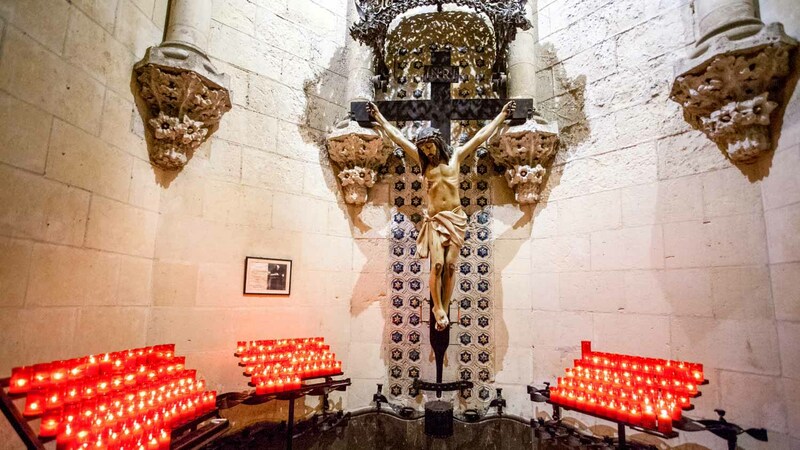 Sagrada is the one place no to miss even better with a goog guide. Mano was our guide. So knowledgeble and inspiring. Telling it like she was telling you as a friend relaxed and full of detail. So you just wanted to ask for more to learn what she knew. And she seemed to know it all and could explain in a manner that all would understand. We had the good fortune to get her as our guide (by chance) at Parc Guell. Like winning the lottery. So do book a guide and if you can ask for Mano.